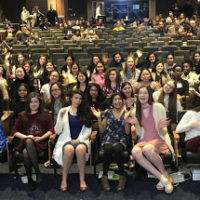 Women in CyberSecurity (WiCyS) hosted their fifth annual Women in Cybersecurity event on March 23 through March 24 at the Hilton Downtown Chicago with pre-conference activities on March 22. 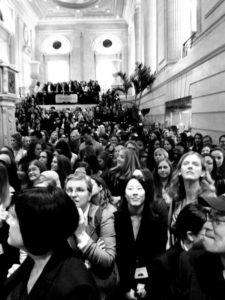 WiCyS continues to innovatively expand its mission to bring together women in cybersecurity from academia, research and industry. 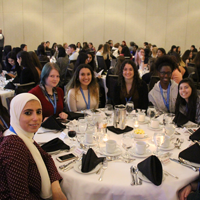 WiCyS is designed to be a forum for speakers and guests to exchange knowledge, experience, networking, and mentoring to raise interest in the fascinating and escalating field of cybersecurity. This event brings together mentors and peer networks for the support and retention of individuals interested in cybersecurity. CRA-W sponsored Susan Landau, Tufts University and Celeste Matarazzo, Lawrence Livermore National Laboratory to be distinguished lecturers at this year’s event.